We are finally thawing out from this snow and ice. Finally! I have one more of our snow day crafts to share with you. My daughter likes to talk about planets even though she doesn’t really grasp the concept entirely. But I like finding little ways to encourage thinking about science and planets. On a recent snow day, we decided to paint a few planets using products that CraftProjectIdeas.com sent us in the mail. We didn’t really have a planet “plan”. We conducted an internet search on planets and looked at a photo before beginning so that we would have an idea of what colors to paint. 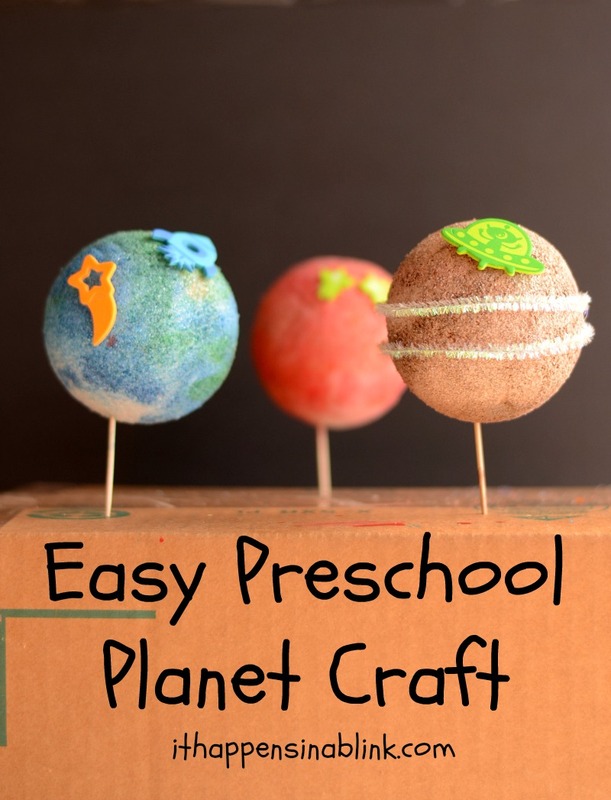 But our goal here wasn’t to paint scientifically correct planets- just to try to begin an educational conversation about them with this Easy Preschool Planet Craft. 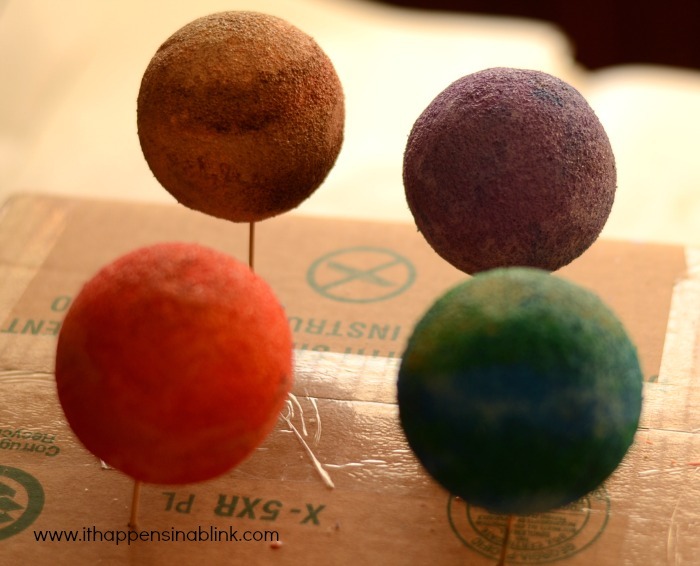 Paint the styrofoam balls in desired colors. It will take several coats of paint to cover. The styrofoam soaks up the paint! Let dry. Apply stickers and fuzzy sticks, as needed. 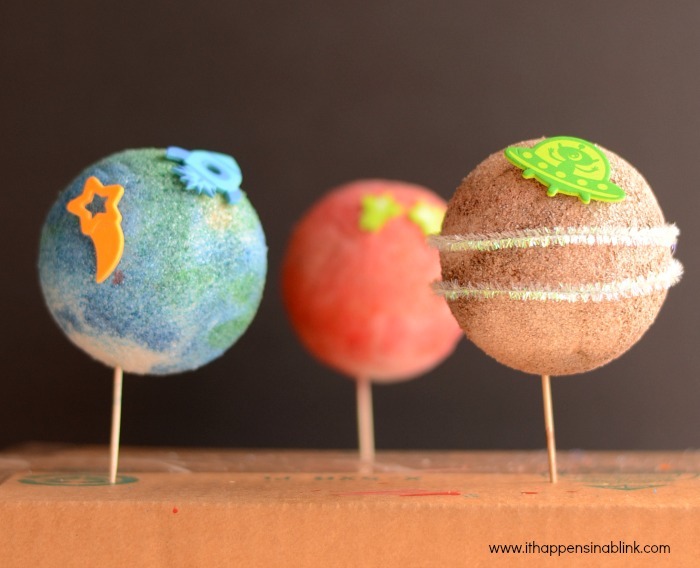 For older kids, encourage them to attempt to replicate the planets. 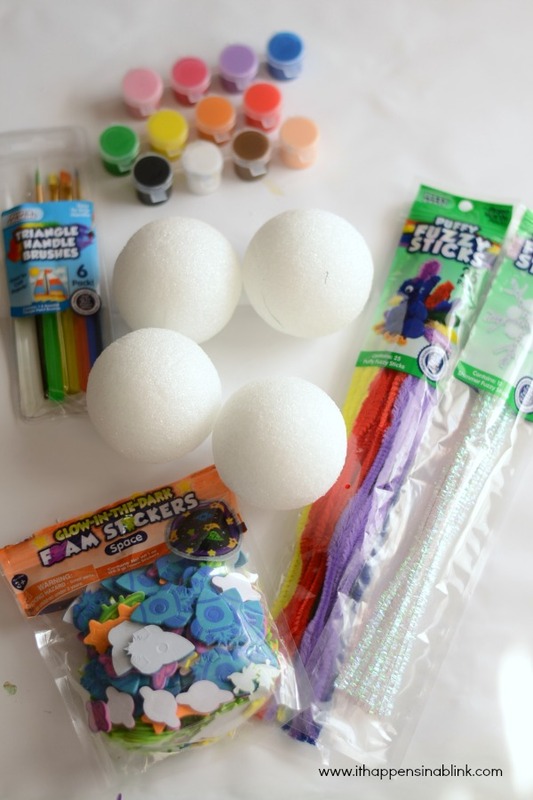 For younger kids, use this craft to pique their interest in science and space! Too cute and fun! LC would love that. This is such a fun idea!! My daughter would love it! I love these. so simple, so fun…and yours even look pretty and artistic! This is so fun! I bet you and your little one had a blast 🙂 Great products! Great job on the painting- those planets look awesome! You are such a fun, motivated Mom! My stepping stone came out one side higher then the other, what should I do different next time? I assume that you are referring to the Stepping Stone craft from Family Fun Magazine and not this planet craft? If so, for the stepping stone I would make try to roll it out with a rolling pin if you didn’t try that. A rolling pin isn’t required- I just pat mine out- but if you are having issues with one side higher than the other then I would try to get more thickness consistency with a rolling pin. How fun! I showed this to my daughter. She said “ooooh… can we make this?” Looks like we have a fun craft in our future. 🙂 Thank you for sharing!